ARRL CEO Tom Gallagher, NY2RF, said he's looking forward to hearing in person from ARRL members when he makes his inaugural appearance at Hamvention®, May 20-22. Gallagher, who succeeded David Sumner, K1ZZ, as CEO in April, not only will be at Dayton for the first time on behalf of the ARRL, but for his first time ever. "My message to members is simple," Gallagher said. "I am listening closely to what our members are saying. Don't be shy. Step up, say hello, and tell me what's on your mind." ARRL President Rick Roderick, K5UR, will be attending Hamvention for his initial outing in his new role. Roderick also encouraged ARRL members to visit the ARRL EXPO. "A large group of ARRL personnel will be there, representing all Headquarters departments," he pointed out. "See your League in action! Many ARRL Board of Directors members also will be on hand, so please come by and say hello." Roderick succeeded Kay Craigie, N3KN, in the League's top volunteer position in January. Gallagher and Roderick will head an ARRL contingent at Hamvention of more than 100 people. CEO Gallagher and President Roderick will take part in the ARRL Member Forum, Saturday, 1:45-3:00 PM, in Room 5 at Hara Arena. Great Lakes Division Director Dale Williams, WA8EFK, will moderate. The forum is an opportunity to hear from local and national ARRL officials and volunteers on key areas of membership interest. About 2 dozen ARRL Headquarters staffers will be on duty at ARRL EXPO, along with ARRL Vice Directors, Section Managers, and other ARRL Field Organization volunteers. Those not going to Hamvention May 20-22 still can get the flavor of things -- if not the smells of whatever's cooking out in the flea market -- by checking out some of the webcasts that will emanate from Hara Arena during the big show. The sponsoring Dayton Amateur Radio Association (DARA) will be offering fairly extensive streaming of Hamvention forums and activities. Visit the Hamvention Live Coverage page for the schedule. In addition, Amateur Radio Roundtable, with host Tom Medlin, W5KUB, will offer comprehensive Dayton video coverage. Certain sessions of 2016 Contest University will be available via streaming, courtesy of Icom. Ham Talk Live with host Neil Rapp, WB9VPG, also has scheduled some Dayton Hamvention webcasts. 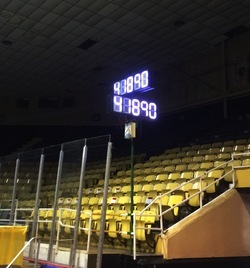 The Sunday afternoon Grand Prize drawing at Hamvention 2016 will feature a bright new LED display that will present winning ticket numbers as they are drawn. It will be visible throughout the main arena, where the prize drawing takes place. Hamvention 2016 Assistant Prize Chair Bill Serra, N8NRT, said a lot of work went into crafting the innovative device, which was the brainchild of the sponsoring Dayton Amateur Radio Association (DARA) "Thursday Night Group." Serra said more than a dozen DARA members participated in the project, which took 8 months from concept development to final assembly and delivery -- just in time for this week's show. The project "followed hard on the heels of complaints from our Sunday afternoon Hamvention audience," Serra wrote in the May 2016 edition of DARA's RF Carrier newsletter. "Many had difficulty hearing ticket numbers as they were called over the facility sound system." 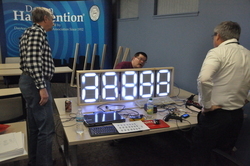 The Thursday Night Group hit on the idea of a dazzling, seven-segment, Arduino-driven LED display. The system includes ticket barcode-scanning capability to automate the process of delivering accurate information to an expectant audience. From that point, planning progressed to figuring out how to get numbers from the scanner in the Prize Booth to the display, which involves more than might meet the eye. "Everything from power requirements to the number of wires needed, not to mention consideration for assembling the system easily and storing it from one year to the next," Serra explained. "The folks at Hara Arena were especially cooperative, especially Rue Wampler, who helped us with several ideas and tests that proved critical to the success of the project." Project lead Tom Holmes, N8ZM, noted that some members even took on "homework," including Programmer Keith Yarger, KD8UYT, who accomplished some of his coding chores on the road during business trips, in order to help speed the project to completion. 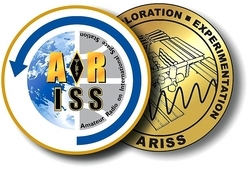 Hamvention® is teaming up with the Amateur Radio on the International Space Station (ARISS) program and will offer a set of ARISS Challenge Coins as a door prize this year, Prize Committee Chair Tom Holmes, N8ZM, said. The two keepsake coins are positioned side by side in a display box, with each side of the coin visible. Commemorative ARISS Challenge Coin sets are a premium for anyone contributing $100 or more to ARISS, which will kick off its 2016 fundraising campaign at Hamvention, May 20-22. ARISS International Chair Frank Bauer, KA3HDO, said the funds raised will go toward critical upgrades of its aging ISS ham radio gear. "The radio system in the Columbus module is over 17 years old and underpowered," Bauer said. "We need a 21st-century, next-generation solution. This fundraising campaign will enable these upgrades and, as a result, significantly improve ARISS operations and provide the funding necessary to better support our stakeholders and the Amateur Radio community." Contributions to the ARISS campaign also will help to defray ongoing operational costs for educational outreach. Dayton Hamvention General Chairman Jim Tiderman, N8IDS, agreed to feature the ARISS keepsake with a special prize drawing right after the introduction of 2016 Dayton Hamvention award winners, which gets under way at 1 PM on Sunday. The ARISS team also will have Challenge Coins available for $100 donors at AMSAT's Hamvention booth. Contributions to ARISS also are welcome via the ARISS website (click the "Donate to the ARISS Annual Fund" button) or via the AMSAT website (click the "ARISS Donate" button). Holmes said the value of prizes to be awarded at the 2016 Dayton Hamvention already has exceeded $51,000, and additional donations were still arriving this week. Major prizes alone total more than $30,600. Prize drawings are held hourly during Hamvention. Read more. "Hunting Down Interference" is the topic of the new (May 19) episode of the "ARRL The Doctor is In" podcast. Listen...and learn! The ARRL National Parks on the Air (NPOTA) program is only possible because of dedicated Activators. Activators are the ones who take their gear and transmit from NPS units around the country. More than 800 Activators have made nearly 5500 Activations around the country. Many NPOTA units are in the wilds of Alaska. National Parks, preserves, and Wild and Scenic Rivers await the more adventurous Activator who wants to put these units on the air for the first time. Are you up to the challenge? There are 42 Activations on the calendar for May 19-26, including the Gulf Islands National Seashore (NS08) in Florida, and the Scotts Bluff National Monument (MN66) in Nebraska. Remember to keep your ears peeled for the many activations from Dayton Aviation Heritage National Historical Site over Dayton Hamvention® weekend. Many operators will be trying to make their first Activations with equipment provided by ARRL, Vibroplex, and DX Engineering, so help all those new Activators earn their 10 QSOs. The crew of a sailing vessel that foundered on a reef in the South Pacific in early May was rescued in good shape, thanks in part to the alert ear of Maritime Mobile Service Network (MMSN) member Russell Taylor, AI6GV, of San Marcos, California. On May 3, Taylor monitored a "Mayday" call on 14.300 MHz from the Alaska-based Morning Dove, at the time some 200 miles northeast of French Polynesia. 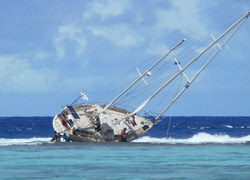 The vessel's captain, Bruce Moroney, KL3RK, reported that his 46-foot ketch had become stuck on a reef and was unable to move. The crew transmitted the Mayday distress call after the vessel began taking on water. "I tried to reverse with no effect," Moroney explained afterward to Latitude 38. "Within 10 minutes, conditions became extreme." Moroney said that after the ketch's hull and diesel fuel tank breached, an emergency position-indicating radio beacon (EPIRB) was activated, and a Mayday put out. "Within 15 minutes, the radios were underwater," Moroney said. Taylor apprised the US Coast Guard of the situation and of the vessel's position. The French Navy subsequently dispatched a helicopter to the area within about 6 hours of the incident, airlifting the four unharmed crew members to safety. Efforts were reported under way to retrieve the grounded vessel. The Coast Guard later called Taylor, to tell him that had he not monitored the Mayday, the consequences could have been devastating for the crew. Assisting in the event were longtime net member William Sturridge, KI4MMZ, in Florida, and his friend Peter Mott, ZL1PWM, in New Zealand, who relayed information. 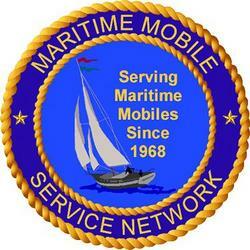 The Maritime Mobile Service Network monitors 14.300 MHz with operators on scheduled shifts from 1700 to 0300 UTC. The STMSat-1 CubeSat built by students at St Thomas More (STM) Cathedral School in Arlington, Virginia, silent since it was deployed from the International Space Station, will start transmitting when its orbit is stable, the transmitter has power, and its antennas are deployed, according to a tweet from the school this week. Satellite enthusiasts around the globe have been listening for the little spacecraft to come to life since its deployment. "STMSat-1 is set to turn itself on once it is fully charged and the antennae deploy," Emily Stocker at St Thomas More told ARRL on May 19. "That can happen as early as 45 minutes after deployment, but as we have learned from our space exploration, these sorts of things have their own timeline. Stay updated by following our Twitter handle @STMSat11." Youngsters at the elementary school erupted in a frenzy of celebration on May 16, as the CubeSat finally was deployed from the International Space Station at 1440 UTC. The CubeSat's a slow-scan TV (SSTV) payload will transmit on 437.800 MHz FM. The satellite is the first to be designed and built by grade schoolers, who were supported by NASA technical advisors and by local radio amateurs. STMSat-1 was transported to the ISS in December by an Orbital ATK Cygnus spacecraft. The kit-built satellite initially had been set for release in mid-February. That deployment was postponed until early March, however, before being put on hold again. The satellite project is part of the school's STEM (science, technology, engineering, and mathematics) education initiatives. NASA's Technology Demonstration Office provided the school with a mobile "clean room" to ensure that the construction phase met strict guidelines and standards for launch and deployment from the ISS. The space agency also provided the school with a ground station antenna to receive the SSTV images and temperature readings. Also deployed from the ISS on May 16 were other school-built satellites carrying payloads operating on Amateur Radio frequencies. These included MinXSS-1 (437.345 MHz); CADRE (437.485 MHz and 3.404 GHz), and NODES (437.100 MHz 1200 bps AX.25 and 2401.2-2431.2 MHz 115.2 kbps spread-spectrum FSK). MinXSS-1 and NODES both have been heard, but no signals had been reported from the CADRE spacecraft by May 19. AMSAT has announced that its Fox-1B (RadFxSat -- Radiation Effects Satellite) CubeSat is set for a January 20, 2017, launch. Fox-1B will carry a Vanderbilt University Institute for Space and Defense Electronics radiation experiment, AMSAT Vice-President Engineering, Jerry Buxton, N0JY, said. It also includes an Amateur Radio FM transponder (435.250 MHz, 67.0 Hz CTCSS tone, up; 145.960 MHz down). The latest version of the Fox-1 Operating Guide is available from AMSAT's Station and Operating Hints page. Fox-1B will ride on a Delta II launcher along with a NOAA spacecraft. 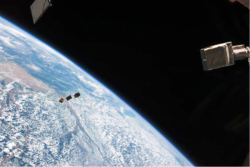 The satellite will go aloft as part of the NASA Educational Launch of Nanosatellites (ELaNa) program, which offers free launches to educational entities and encourages science missions. AMSAT has been developing a family of CubeSats with Amateur Radio payloads that can support advanced science experiments, and it has been working with universities on scientific and educational missions that fit the ELaNa mold. The International Amateur Radio Union (IARU) has become the custodian of the operating standards guide Ethics and Operating Procedures for the Radio Amateur. The IARU Administrative Council recently accepted an offer "with gratitude" from authors John Devoldere, ON4UN, and Mark Demeuleneere, ON4WW, to take over maintenance and updating of the document. "Over the last 8 years, the booklet Ethics and Operating Procedures for the Radio Amateur has become a respected work describing the best standards of operating on the amateur bands," the IARU said in a news release. "Translated into most major languages, the booklet is a valuable reference work for all radio amateurs." The authors' stated goal is, "to improve, where necessary, the behavior on the bands in matters of ethics and operating procedures, and make available to the newcomers in the hobby a document covering these subjects in detail." The guide was accepted by the IARU Administrative Council in 2008 as the recommended manual covering the subject of ethics and operational procedures. International Amateur Radio Union Region 2 (IARU-R2) will hold an Emergency Communications Workshop in Chile this fall, in conjunction with the 19th IARU Region 2 General Assembly. The conference committee is inviting papers and presentations for the event. The workshop on October 11 in Viña del Mar, Chile, will offer an opportunity for Region 2 emergency coordinators and other national-level Amateur Radio emergency communication experts to network and to share information on Amateur Radio emergency response as well as to augment the capabilities of the region's amateurs to react to large-scale, multinational communication emergencies. The event is open to radio amateurs in IARU Region 2 with high-level expertise in providing disaster and emergency communication. Register online. Documents must be in electronic form (MS Word or PowerPoint). When laying out the document format, use A4 paper with at least 3-centimeter margins on all sides. The title page should have a top margin of at least 6 centimeters. Do not insert page headers or footers. Direct submissions in English to ecw@iaru-r2.org; direct submissions in Spanish to tce@iaru-r2.org. Award-winning Hollywood producer and ARRL benefactor Dave Bell, W6AQ, of Encinitas, California, died on May 13. He was 84 and had been a radio amateur for 65 years. An ARRL Life Member and a former chair of the ARRL Public Relations Committee, Bell directed Amateur Radio Today and produced several other ham radio-related promotional videos and films, starting with The Ham's Wide World, a TV documentary filmed in black and white. "If I have a claim to fame in Amateur Radio, it's probably that I produced the first television documentary about ham radio that got worldwide distribution, and then I made several others before I 'retired' from the ham radio film/video hobby-within-a-hobby and got busy making a living producing TV movies, specials, and documentaries for all of the networks including HBO and Showtime, and made a couple of theatrical feature films -- Nadia and The Long Walk Home," Bell recounted on his QRZ.com profile. He started TV's Unsolved Mysteries, and he received an Emmy Award in 1985 for Outstanding Drama/Comedy Special, Do You Remember Love. Bell chronicled his filmmaking and his Amateur Radio and professional lives in a memoir, World's Best Hobby. Last year, Bell and his wife Sam, W6QLT (she's a quilter), donated a signed Andy Warhol print to the ARRL. The artwork -- "Myths: Superman 1981" --sold at auction last fall for $150,000. The proceeds are being used to create "The Dave Bell, W6AQ, Endowment Fund" to benefit the League. Bell was the 1984 Ham of the Year at Dayton Hamvention®. In 2003, the ARRL presented Bell with its first Lifetime Achievement Award for his work on films and videos about Amateur Radio. 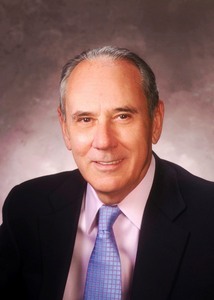 In 2011, he was named to the CQ Amateur Radio Hall of Fame. 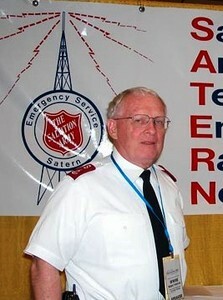 Salvation Army Team Emergency Radio Network (SATERN) Founder and past National Director Maj Patrick E. "Pat" McPherson, WW9E, of Coloma, Michigan, died May 14. He was 70. 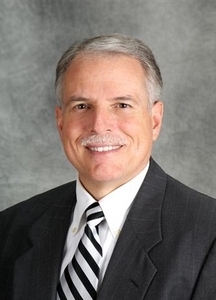 After serving as SATERN Director for more than 23 years, McPherson stepped down 5 years ago, although he reassumed the role in 2014-2015 on an interim basis. 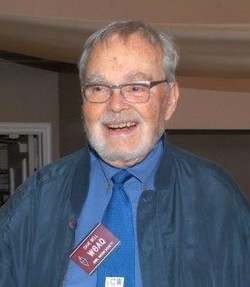 An ARRL member and a second-generation Salvationist, McPherson founded the disaster response and relief arm in June 1988 with one other US and two Canadian radio amateurs. Just 2 months after its founding, SATERN responded to provide communication between the US and Jamaica following Hurricane Gilbert. Salvation Army Maj Pat McPherson, WW9E. SATERN became an official Salvation Army program 10 years later, in 1998, and Maj McPherson was formally appointed as its national director. Now an international organization with 4000 members in North America alone, SATERN is dedicated to providing emergency communication and other assistance following disasters and emergencies, and has responded to natural disasters, fires, and air crashes, including the September 11, 2001 attacks. At the time of his death, McPherson was to be presented with The Salvation Army Certificate in Recognition of Exceptional Service -- a national-level award acknowledging outstanding, distinguished, and significant achievement in or for The Salvation Army. It will be awarded posthumously. New Jersey Club Marks Centennial with 10-Day QSO Party: As part of its Centennial activities, the South Jersey Radio Association (SJRA) will host a 10-day QSO party, June 10-19. Founded on June 12, 1916, in the home of William G. Phillips in Collingswood, New Jersey, the SJRA dates back to the very early years of wireless. 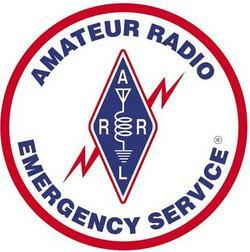 The association became an ARRL-affiliated club in 1920. A timeline on the SJRA website offers more information about the club's rich history. The QSO party will offer other radio amateurs a chance to join the celebration and become centennial members of SJRA. The club will offer various awards. Participants can use just about any mode and operate from QRP to high power. Bonus points are awarded for logging an SJRA member station, identified by "/100" appended to the call sign, or by working the club's K2AA station. Complete rules and logging details are on the SJRA website. Tad Cook, K7RA, Seattle, reports: Average daily solar flux and sunspot numbers rose over the past week. The average daily sunspot number rose by 5 points to 64.1, while the average daily solar flux was up by 11.6 points to 100.4. Geomagnetic indices were quieter, with the average planetary A index decreasing from 22.6 to 9.9, and the average mid-latitude A index dropping from 14.6 to 10.9. 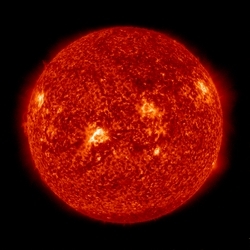 USAF and NOAA predict solar flux at 103 on May 19; 105 on May 20-21; 100 on May 22-25; 95 on May 26; 90 on May 27-28; 95 on May 29; 100 on May 30-June 1; 95 on June 2-7; 100 on June 8-9; 95, 100, and 105 on June 10-12; 100 on June 13-16; 95 on June 17-21; 90 on June 22-24; 95 on June 25, and 100 on June 26-28. Predicted planetary A index is 16, 22, 16, 12, and 6 on May 19-23; 5 on May 24-27; 15, 25, and 10 on May 28-30; 5 on May 31 and June 1; 12 on June 2-3; 35, 30, and 15 on June 4-6; 5 on June 7-9; 8, 15, 25, and 12 on June 10-13; 8, 18, 25, and 12 on June 14-17; 8, 5, and 10 on June 18-20, and 5 on June 21-23. Sunspot numbers for May 12 through 18 were 67, 76, 88, 78, 76, 36, and 28, with a mean of 64.1. The 10.7 centimeter flux was 92, 93.4, 101.2, 108.4, 102, 103.2, and 102.3, with a mean of 100.4. Estimated planetary A indices were 4, 8, 10, 13, 13, 13, and 8, with a mean of 9.9. Estimated mid-latitude A indices were 4, 9, 10, 12, 15, 14, and 12, with a mean of 10.9. In Friday's bulletin look for an updated forecast as well as comments and questions from readers, plus a report from N8II about operating in a QSO party while a geomagnetic storm was raging.